We will work tirelessly to find you your perfect new home in Hot Springs Village, using all of the tools available to us. We are members of the Central Arkansas Multiple Listing Service, but our award winning sales methodology includes using commercial websites (Zillow, Trulia, Realtor.com, etc), other realtor board resources, FSBO (For Sale By Owner) and even unlisted properties. As your buyers agent, we won’t stop looking for you until you are settled and happy in the living room of your perfect Hot Springs Village home. We Real Estate Agents who use 21st Century technologies and our skills in internet marketing to get your house the maximum exposure possible. 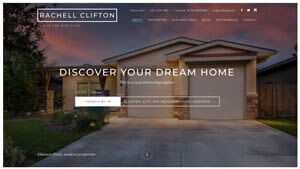 In addition to the normal listing agent activities (MLS listing, sign in yard, flyers and open houses), Team Hasselstrom brings a background and expertise in internet and social media marketing techniques. Using the scope of the World Wide Web we will give your home exposure to millions of potential buyers around the planet instead of only local or regional markets. Only Team Hasselstrom brings the marketing technologies of the 21st Century to Hot Springs Village. Contact us today for more information! Have a specific home plan in mind? Maybe have sketches or plans for your dream home? We can help with that, too! We work with multiple builders in the Village and set up opportunities for our clients to meet, interview and select the builder they like best. Even though we will help facilitate the building process from selecting the lot to finalizing the ‘punch list’ before the certificate of occupancy is issued, our primary concern is representing our client on the ground. We will be your eyes and ears during the process to ensure your satisfaction even if you can’t be here during construction. We can help you with all aspects of your relocation to Hot Springs Village including referrals and connections throughout the Village. Hot Springs is a big place with a small-town feel. There is so much to see here and do! With nine golf courses, eleven lakes, miles of trails to hike and hundreds and hundreds of clubs and organizations to join and get involved, it is easy to get lost here. Team Hasselstrom can help you with information and introductions to make your new house feel like you’re coming home.